TU Delft OpenCourseWare is a free and open digital publication of high quality educational materials, organized as courses. Open Course Ware does not require any registration, is not a degree-granting or certificate-granting activity and does not provide access to TU Delft faculties. There are BSc and MSc programs available for AE students with courses in Delft OpenCourseWare. 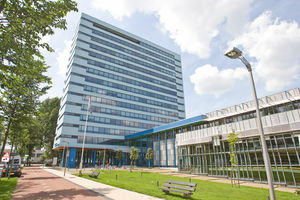 Check ocw.tudelft.nl/programs/, filter bachelor or master on the left and click on Aerospace Engineering on the right.